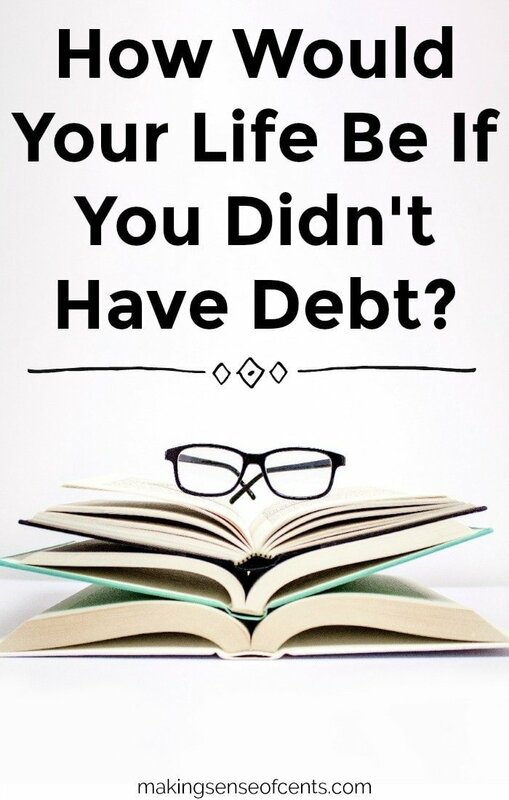 How Would Your Life Be If You Didn’t Have Debt? Today's Ask the Readers post will be multiple questions. Comment with your answers below. You can answer just one question or all eight of them. Enjoy! What would you do if you didn't have debt? In July of this year, I completed my goal to get rid of my $40,000 student loan debt. It felt amazing. However, we still have a mortgage. 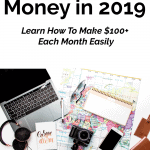 If we didn't have a mortgage payment each month, we would be freeing up around $1,000 each month and we could put that towards something else. If we didn't have the mortgage, I imagine that we would be putting a lot more towards retirement. Not too exciting, I know. However, if our case was different and we still had student loans as well, I probably wouldn't have left my day job to work full-time on my business. 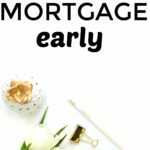 Something that I am asked often is if we are starting to attack our mortgage. We are not attacking our mortgage because we know that we don't want to live in our current home forever. Also, up until earlier this year, we were actually actively looking for a new home. I do think that the case would be different if we were in our forever home. I would want to attack the mortgage and get rid of it immediately. If I could pick up all of my friends and family, I would bring everyone to Hawaii. I would want to live somewhere with great weather and a beach nearby. I also want to be near the ones that I love though! What would you do in life if you know for a fact that you would succeed? I feel like I'm already doing what I want to do. My business allows me to pursue my passions outside of work, and the work is something that I enjoy doing. I don't ever dread the next morning. Instead, I really look forward to it. If you were to travel for 2 months, could you bring just a carry-on suitcase? This is something that I really want to be able to do for when we go on our long trip. This way I won't have as much to lug around, and I also don't have to worry about luggage getting lost. Then, I could also buy a bag to check wherever I go to bring all the awesome stuff that I buy back home. What is your largest personal finance mistake? Hmmm… My largest personal finance mistake would be that I took out way too much in student loans. Yes, they are gone now, but I took out extra just because I could. I can only imagine how much less that I probably would have had if I didn't take thousands extra out. What's the last GREAT deal that you received? We recently had carpet installed in our living room for around $500. Super cheap if you ask me. It was supposed to be about double but they didn't charge us to lay the tack strip down. We also waited a long time after they gave us a quote. We didn't do that on purpose, we were just super busy. I guess they thought we weren't interested though. They kept calling us until they were at their lowest offer! What's your best tip to work and travel at the same time? I made a post on this the other day, and I would love tips from everyone else! 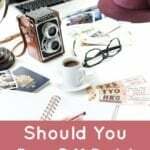 Read My Plan To Work and Travel on Diversified Finances. We are attacking our mortgage as fast as we can. We even looked at doing a refi but we are paying so quickly we would not recoup the savings. Our goal is to pay off our home so that when we move in around 5 years we can keep this house and use it as a rental. We love real estate and want to purse that debt free. I play this game all the time – probably a little too frequently. I think of the chunk ( over $1000) that could be used in so many other ways rather than debt. But like you I would save for retirement mostly… Or perhaps pay down the mortgage. As for a tip to travel and work at the same time: piggyback your vacation with work trips to conferences. I needed up with a week in Europe after a weeklong conference there. Ended up being able to extend my flight and work paid – just needed accommodations (hostels back then) and my money for attractions/food. The ticket was $1200, so it saved a bit chunk of cost for me. I used to do that all the time when I had my day job. I would extend the trip and it was always much cheaper! We are paying down our mortgage like crazy- like commenter Allison, we want to pay it off and then use it as a rental when we are done living in it. We thought about doing something similar, but our current house wouldn’t be a good rental home we don’t think. I’m a fan of eliminating the mortgage debt too, for exactly the reasons you list. We will be so flexible in another 18 months once that’s paid off! Obviously it doesn’t make financial sense in a bull market, but there are a lot of factors in our decision to go that route. Yes, I want the flexibility eventually when we find our forever home. Mortgage is non existant for us. We paid straight cash homey for our house. We would move to either Ireland (this is most likely going to happen since I am a citizen there) or Austria (slightly less likely, but still possible). We want our child(ren) to experience different ways of life besides the American one, so we are going to move somewhere for a few years. That is awesome Brian! I would love to buy a house in cash. And thanks for the tips about working and traveling. Definitely needed advice! We’re not really attacking our mortgage as we don’t believe we’re going to be in this house forever, although having that extra $1,000 or so each month to throw at retirement would be awfully nice. 🙂 In terms of the carry on if I were traveling for two months, I could totally do it. Haha I feel like a crazy person to try to fit everything into one suitcase! If all the debt was gone then I would be self-employed full time. The debt including the mortgage is by far where most of the money goes. We don’t live a super high cost lifestyle and enjoy long bike rides–not expensive. I would pay off the mortgage and working to getting it paid off once the student loans are gone. So hopefully everything knocked out in less than 5 years. When I work/travel, I usually get up at 6:00 a.m. and work for a few hours before everyone gets up. I’ve done that in Mexico, the D.R., etc. People think I’m crazy but I would rather get my work over with and enjoy the day. Yeah, I like to do the same! Nice work on the living room carpet! You bring up a very interesting point about not wanting to be aggressive with the mortgage because you are considering moving. I had not considered that angle! Best of luck in your new home search. My life would be a lot easier for sure. 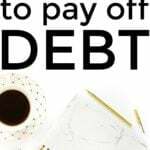 I would love to be debt free but its something that I hope to be sooner than later. If I didn’t have any debt I would take a 6 month trip to Europe. If I didn’t have debt, I don’t know what I would do. Debt has changed my life for the better, so I don’t really want to think like that. We won’t be killing our current mortgage, but will the next one. My wife and I love the mountains. We would probably take everyone to the Rockies. I am already doing what I love, so I am good there. Yes, I can bring it all in on suitcase if I were traveling. My largest personal finance mistake(s) were credit card debt, buying a Jetski and leasing a car. I can’t think of the last great deal that I got. I would be a personal one on one tutor. There isn’t really a large enough market for it where I am. No way. When I studied in Mexico for 6 weeks I took two checked bags and a carry on. I even forgot important stuff like pencils for my classes. Taking out the maximum student loans for two semesters. What’s the last GREAT deal that you received? When I went shopping this past week I saved $30 on Christmas gifts by using promotional store coupons. I also saved $23 and only spent $16 on 4 packages of diapers. That was my most recent great deal. Haha I really doubt that I will only be able to bring a carry on, but it is something that I would like to try. Luckily everywhere that we are going will be very hot, so I won’t need a lot of bulky clothing. Good luck with taking just a carry on. Haha thanks. I doubt it will happen. What would you do if you didn’t have debt? This isn’t a glamorous answer. We’d keep doing what we’re doing now. We’ve been trying to avoid the lifestyle inflation that comes with being a young family and stacking back as much cash as we can. My wife and I both love what we’re doing and are surrounded by good family and friends. Nope. I actually stopped attacking our mortgage after reading some of your previous posts. As a minister I get some special tax breaks associated with our mortgage, so it is actually to our benefit to keep a low interest mortgage and put our extra funds into retirement savings. We did refinance into the lowest interest rate we could find and knocked 10 years off our mortgage to boot. Right now, no. Our youngest is just too little. But in a few years….yes! I think it would be an incredible experience for our family to see how little it really takes to live. We are working towards doing this in a few years when the kids are older. Thanks for the great questions to consider! It must be an amazing feeling to already be doing what you want to do and to pursue your passions, plus not dreading waking up in the morning to do work! And at such a young age! Good for you! I do have a significant amount of student loan and will probably eventually take on a sizable mortgage since we live in NYC. Not sure when I’ll be debt free. My student loans are on a 25 year payment plan…I haven’t worried about it too much since they are very low interest. Believe it or not, I’ve got very little debt. Just paying off the car and I’m done. However, I can’t say the little debt has changed the way I live. Even if I had debt, I think I would do things pretty much the same. As far as the best tip to work and travel at the same time, invest in portable internet. I know most hotels offer internet, and you can get it in most restaurants too. However, that’s not always reliable! Thanks for the great read! Sounds like you are doing awesome Josh! – No debt, I’d worry less, and enjoy life more. I’d travel too. 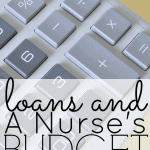 – I would pay off our mortgage, just to get rid of that pesky monthly payment. – Yes I could. I’m a light packer! Husband and kid are the problem lol. – Biggest finance mistake, buying a house too young, giving away a paid for vehicle, then leasing a new one. Ugh, stupid. Wow your house sounds awesome. I didn’t know that you had so much land! Since I currently have around $50K in student loans, I’m pretty much always thinking about what I’d do without any debt holding me back. The first thing that comes to mind is traveling the world; I’ve never traveled outside the U.S. and I’ve always dreamed of exploring other countries and learning new languages. I really don’t want to let my debt control my life, but it’s really important to me that I become debt-free so I can fully enjoy my travels with little to no financial worry. My student loan debt is far and away the biggest financial mistake I’ve made. I really didn’t know what I was doing when I applied for all of those loans before and during college. Although I sometimes wish I never had any debt in the first place, I’m actually really grateful for my debt because of what it’s taught me at an early age: I know how to create and stick to a successful budget, I know how to save (and spend) wisely, I know the value of saving early for retirement and I understand the importance of having an emergency fund. I can’t wait to be rid of my debt but I also can’t deny the valuable lessons I’ve learned by having it. As for traveling for two months with only a carry-on…as much as I think “I could never do this”, I know that I totally could. And I know how exhilarating and liberating it would be to travel with as little baggage, both physically and financially, as possible. That is awesome that you learned something from having student loans. I definitely can say the same. If I didn’t have them, I probably would have never started my business. We are not attacking our mortgage for the same reasons you don’t. We are hoping to be able to move within the next five years because we slowly outgrow our place. Plus, I would to be in a better school district by the time kids will start high school. If I had no debt, I probably wouldn’t be half as responsible and most likely wouldn’t have much of a goal as I do now. But if I did, I would have probably been able to move years earlier. I don’t have a a mortgage, but I have every intention of paying it off in less than 16 years. I really couldnt put up with it for 30 years! I definitely don’t want our forever home to have a mortgage for 30 years. I want to pay as much in cash as I can! if we didn’t have debt, we would have had $50,000 saved up already for our house down payment. however, i don’t think we would have ever become as savvy with our finances or learned to live off less than we earn if it hadn’t been for debt. we will never live to max every penny we earn now bc we know the importance of saving. Yes, our debt has taught us a lot as well. Right now I only think about life when we’re non mortgage debt free and it will be glorious. Though a big chunk of the money we’re putting towards debt will then go towards retirement it will be nice. Not starting to save for retirement until almost 35 means we have to make up for lost time. We’ll have a few hundred extra per month to play with taht we’ll allocate to travel/second vehicle. 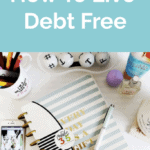 Even just non-mortgage debt free is amazing! If I didn’t have to worry about my student loans, I would also be putting more toward retirement and saving for travel. We aren’t ready for home ownership, otherwise I would say saving for a down payment. I have no idea where I’d want to live, there’s so many choices! Ideally, I would love to travel and live in different places for a few years at a time. Traveling and living in different places sounds great! 1. We’d be able to have more fun! I would have less guilt and stress about staying on budget and things would just be easier. We’d put a good chunk in savings and retirement, but would also allocate a decent amount to living a great life! 2. Our mortgage is pretty low, I don’t think we would pay it off, but maybe! 3. Right now we have a dream to live in Oregon. If I can manage to leave my whole family behind in California. Yikes. It’s a 3 year plan at this point. 4. Tough question. I don’t know! I guess I would grow my blogs + design business, but I’m already working on that so I’m not sure what else I’d do! 5. I think I could do it! I would try at least. We went to Mexico for 10 days and brought one large suitcase between the both of us so I think we could simplify and each do a carry on. 6. My biggest financial mistake hands down was getting into debt at 18. My first CC limit was $6,000 and I didn’t stop there. It wasn’t that I didn’t think I’d have to pay it back. I just didn’t anticipate paying it back while also trying to pay for everything WHILE paying it back. I’m still working on that debt and it will be gone in 2014! And our timeshare. That was a more recent, stupid mistake that I knew we might make but we went to the presentation anyway. 7. Our last great deal must have been our house. We first noticed it when it was priced at $160k. As it went down, and down, and down over about 6 months it finally went down to $90k and we couldn’t pass it up so we bought it. 8. My best tip to work and travel at the same time is to do a lot of pre-work. Get as much done as you can before the trip and schedule an hour or so in the morning or evening each day during the trip to get it done. Working by the pool, beach or in some other scenic area is a bonus! That is awesome that you guys just brought one suitcase for a 10 day trip. I’m hoping we can do something similar!